Wiseco offers a lifetime warranty on their powersports clutch baskets. Learn what makes them stronger than the factory cast or billet baskets available on the market. Off-road motorcycles and ATVs are products that manufacturers are constantly working on improving. Almost every model year they are making changes to squeeze as much performance as possible out of these machines. With this ever improving performance, more and more riders are pushing the engines in their bikes and ATVs to their limits. This is why high performance engines create a demand for high performance internal components. One of the OEM components that can’t quite keep up with the stress it is presented with is the clutch basket. 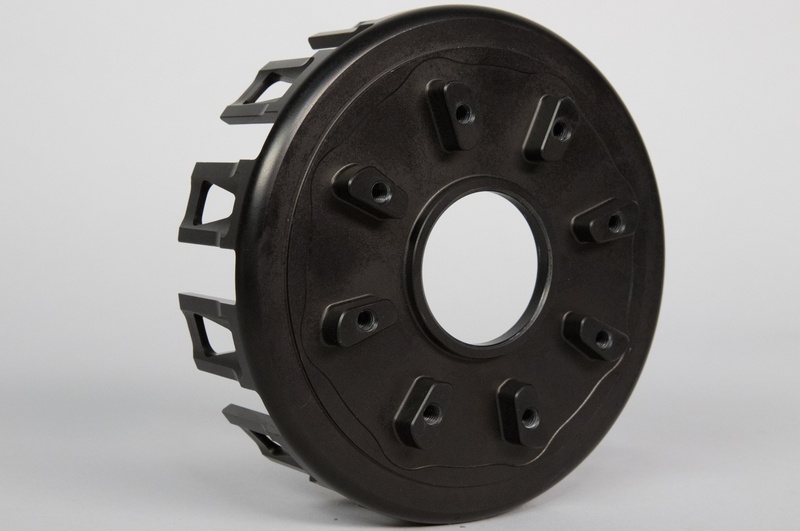 Stock clutch baskets and some the corresponding clutch components are made of die cast aluminum, which is a material that comes from an inexpensive production process that ultimately creates parts that will wear out much too quickly and notch very easily. A worn out or broken clutch basket typically renders a bike or ATV unrideable. Wiseco's clutch baskets are forged in-house and are stronger than a billet due to their aligned grain structure. The Wiseco difference begins at the first step, with the material used to create Wiseco clutch baskets. Wiseco begins with 6061 aluminum that is heat treated to a T6 condition. The metal blanks are forged, which involves heating it up and compressing it under a great deal of pressure. This helps push the constituents in the metal closer together than any other process, giving it a well aligned grain flow. Other manufacturing processes tend to leave metal with a inconsistent grain structure. Forging also gives the aluminum high tensile strength, meaning its resistance to breaking under tension will be much higher. 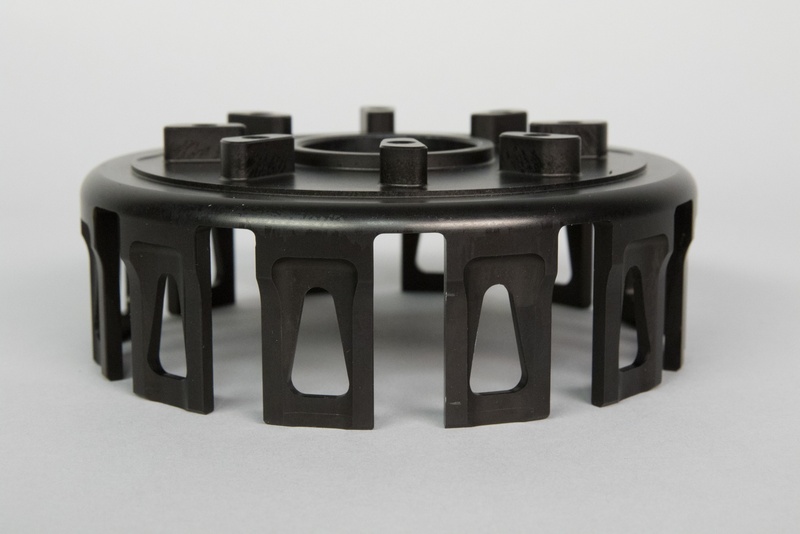 Thanks to the forging process, Wiseco clutch baskets are much more ductile—able to bend more times without breaking—than cast or billet clutch baskets. Cast clutch baskets will also commonly have imperfections, which becomes a nonissue after forging. 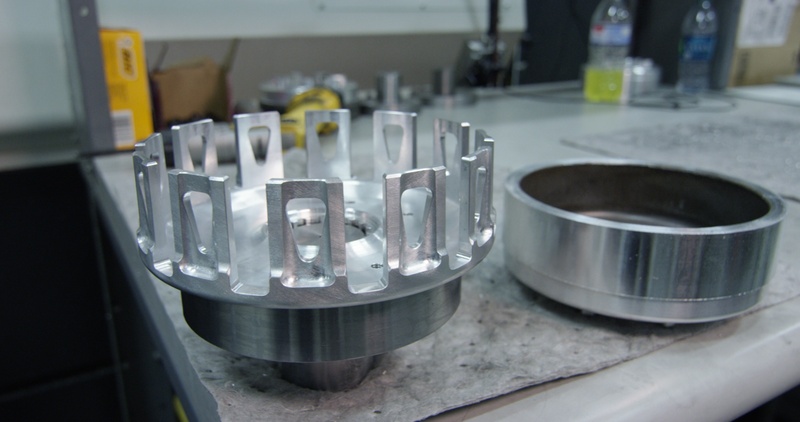 Wiseco also maintains as much strength as possible in their clutch baskets by making sure each pre-machined piece of forged aluminum is as close to its final size as it can be. This allows each forged clutch basket to be machined as little possible. The less material cut, the more of its original strength it will maintain. With hard coat anodizing, an incredibly dense and hard layer of aluminum oxide is formed on the surface of the material. Benefits of this process include increased wear and abrasion resistance, improved lubricity, and corrosion resistance. After Wiseco clutch baskets and components are forged and precision machined, the next step is for the parts to be hard coat anodized and coated with Teflon. With hard coat anodizing, an incredibly dense and hard layer of aluminum oxide is formed on the surface of the material. Benefits of this process include increased wear and abrasion resistance, improved lubricity, and corrosion resistance. Wiseco feels that hard coat anodizing is important to add to the strength that comes from the forging process, as well as improving lubrication abilities to ensure smooth operation. However, the hard coat anodizing alone does not meet Wiseco’s strict performance standards; a Teflon coating is added to the clutch baskets later in the anodizing process in order to achieve the desired lubricity and wear resistance. A Wiseco clutch basket kit comes with everything you need to install. If you’re a rider, it is likely that the first thing you do when you walk up to a bike or ATV is pull in the clutch lever. Just pulling that lever plays a big part in the decision of whether you want to ride that machine or not. If you were to pull in a clutch that is equipped with a Wiseco clutch basket and components, the buttery smooth feel would be noticed immediately. The hard coat anodizing and Teflon coating achieve a smooth lever pull, so the rider can enjoy the feel of their clutch, all the while knowing they are highly protected against breakage, thanks to the forging process. Bob DiFranco, Technical Training Director at the PowerSport Institute, has long term experience with Wiseco clutches. DiFranco (@bobd168) also says that he endorses Wiseco to his fellow staff and students at the PowerSport Institute based on his experience with the product. Thanks to the great care Wiseco takes to produce quality products that outperform and outlast all competition, they are able to offer a lifetime warranty on clutch baskets, inner hubs, and pressure plates. The warranty is valid if purchased after January 1st, 2009, and covers breakage and notching. It covers the original purchaser with proof of purchase. 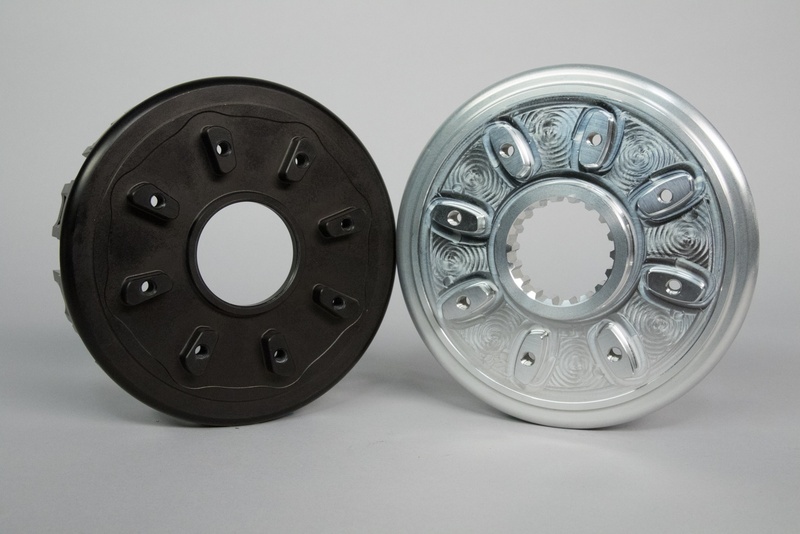 The hard coat anodizing paired with a forged clutch basket reduces tang wear, which is the most common failure in billet and cast clutch baskets. Wiseco offers clutch components in different levels of kits. Whether you just need to replace your clutch basket or you need to completely rebuild your clutch, Wiseco can help with ease. 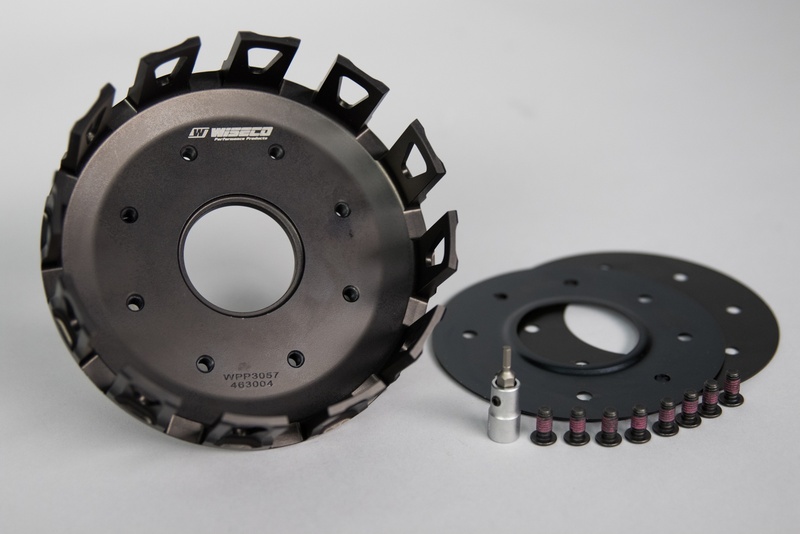 Wiseco’s clutch packages include the Clutch Pack Kit, the Performance Clutch Kit, and the Extreme Clutch Kit. The Clutch Pack Kit includes new fiber and steel plates, along with new springs. The Performance Kit goes one step further by adding a forged clutch basket and new rubber cushions. The Extreme Kit includes everything needed for a full clutch rebuild, including everything from the performance kit, plus a forged inner hub and forged pressure plate. 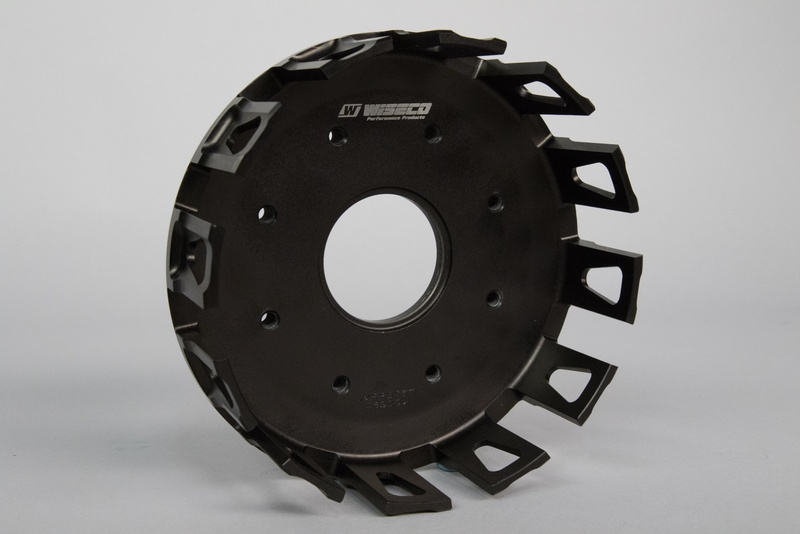 Wiseco also goes above and beyond to make sure their customers can use and install their new clutch baskets and components properly and easily. Each clutch basket is supplied with new components used during assembly, including new fasteners with pre-applied thread locker. Also included are all other parts necessary for assembly, such as backing plates and hardware required for installing the main gear. To top it all off, easy to understand instructions are included.